Do you live in Berkeley and commute in or out of the city by car, carpool, public transportation, bike or foot? 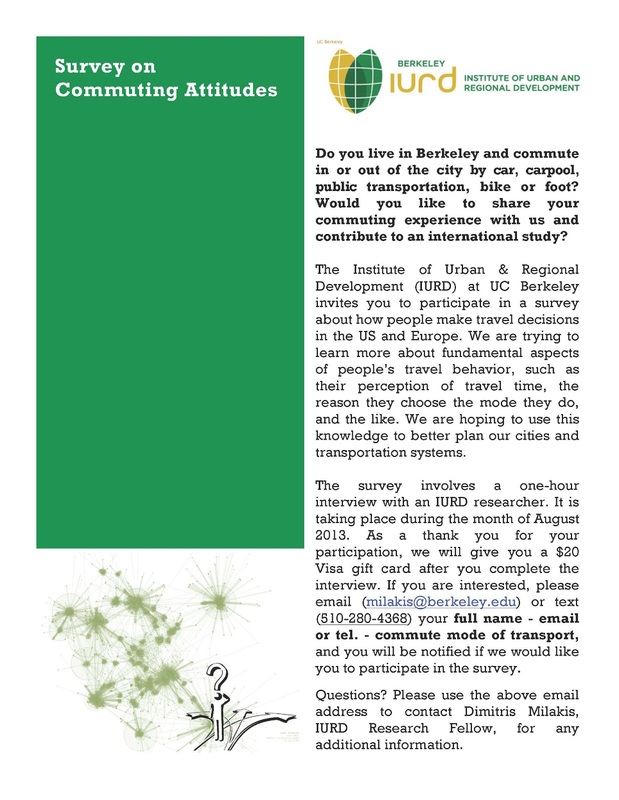 Would you like to share your commuting experience with us and contribute to an international study? 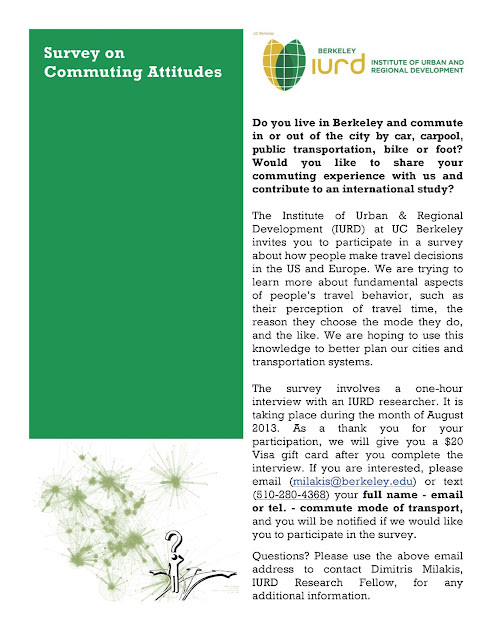 The Institute of Urban & Regional Development (IURD) at UC Berkeley invites you to participate in a survey about how people make travel decisions in the US and Europe. 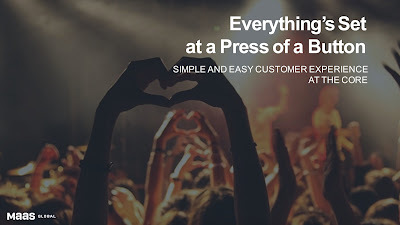 We are trying to learn more about fundamental aspects of people’s travel behavior, such as their perception of travel time, the reason they choose the mode they do, and the like. We are hoping to use this knowledge to better plan our cities and transportation systems. The survey involves a one-hour interview with an IURD researcher. It is taking place during the month of August 2013. As a thank you for your participation, we will give you a $20 Visa gift card after you complete the interview. If you are interested, please email (milakis@berkeley.edu) or text (510-280-4368) your full name - email or tel. - commute mode of transport, and you will be notified if we would like you to participate in the survey. Questions? Please use the above email address to contact Dimitris Milakis, IURD Research Fellow, for any additional information.